It's that time of the year again where we reflect and give it some thought on what to do with the blog. Usually I would have made a list of "The 10 most ...whatever... posts of 2013" and had a go at staring into the crystal ball, together with other bloggers in the "Pet Blogger Challenge" - which I just heard is going to be organized this year again by Amy and Edie. Obviously, looking back at the blog, or 2013 for that matter, always ends at that same focal point for me. Viva. What is left, after our road-trip in her footsteps, are the memories about her. She will therefore still be a part of this blog in the time to come, as she still is a part of our life. I couldn't continue the blog otherwise. It would become a stranger to us if we didn't. During the holidays we went through the hundreds of photo's we have of her, fueling the memories we have. And we thought it would be a good idea to share something about Viva each Sunday to remember her by. Maybe just a photo, or just a short story, I haven't given the format a lot of thought and let it allow to go where it wants to go. I promise it will be positive though. Happy New Year, may all your wishes come true, and hope to see you in 2014 ! I am very excited to introduce you to one very active Hovawart Wizard, Bernard! Bernard trains IPO and agility, and takes wonderful photo's to show for it as well. Thank you for participating in the Hovawart School of Witchcraft & Wizardry! 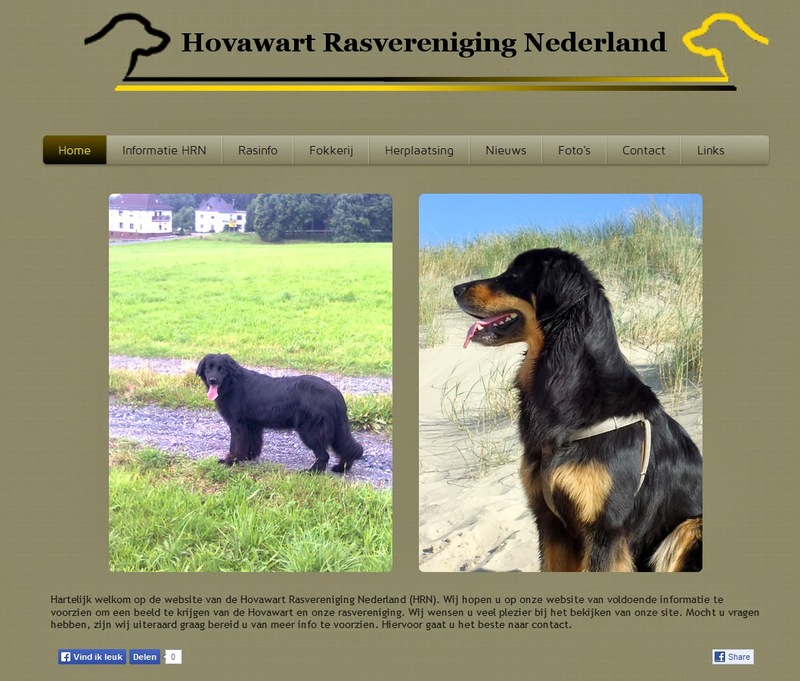 Hovawart Wizard: We are a family from the city of Almere, Netherlands. Consisting of wife Mirjam, daughters Kim and Stacey and son Demian all around 20 years of age and me, Bernard. In daily life I sell IT equipment, Networking and security gear. 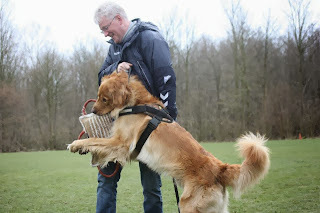 Hovawart: In August 2011 we amended the family with Boef, a sturdy blond Hovawart boy. Boef doesn't really have a blog or webpage. He is just very photogenic and I happen to like shooting pictures a lot. As a result he has quite some pictures published on Flickr. We got Boef from a family which took breeding Hovawart's to an almost scientific level. The father was selected carefully from far away in Germany, mum Layca and the pubs were taken great care of and meticulous attention was paid to socialization. To our surprise we couldn't claim a preference for a pup based on the looks (I wished for a Black&Tan since I did not want our pup to look like the Golden Retrievers we had before). 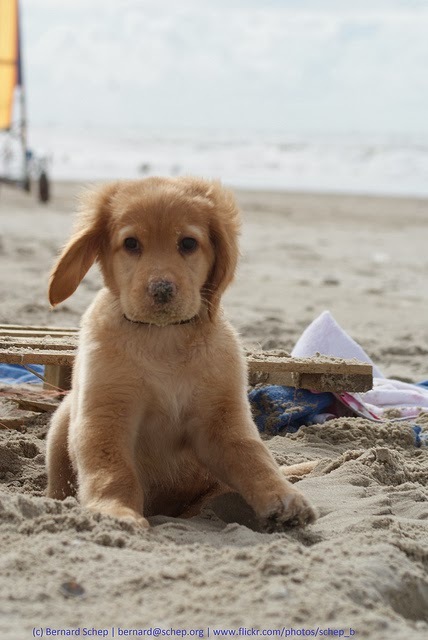 Instead the breeders decided which pup would go to which owner based on a behavioral test and the daily situation and prior experience with dogs of the new owners. As it turned out we got the first-born, blond and most lively and sizable blond boy pup "Bono van de Gouwestreek". We called him Boef ("villain/rascal" which turned out to be quite characteristic). As said we previously had 2 Golden Retrievers. Our Boris passed away about a year earlier. We thought we were decent and experienced dog people. But Boef managed to surprise us. Whilst I love the initiative, intelligence and independence of him some family members really had a hard time adjusting to the complete difference in character and behavior. He is extremely kind and loving for his family. The big "but" though is that a family with kids in their late teens or early twenties gets many friends visiting. To which he turned out to be very guarding. Barking and impressing the sh*&^ out of friends visiting suddenly became a problem. By putting him in the bench when visitors come and only releasing him after 10 minutes with instructions to the guests on how to behave has overcome this problem to a large extend. Still I would never want another breed. I love the character and the laser focus on his boss and his pack. At least twice a week we go on a bike ride, he runs 25 kilometers easily. Twice a week we train IPO. Last 2 months I dropped the man-work because we attend to a special socialization-training. He still is too bullish to some dogs in the neighborhood and some dogs he runs in to when running free on the beach. My advise to other Wizards & Muggles is: don’t mistake size and appearance for self-esteem. Much of the defensive behavior our dog demonstrates is caused by my misconceptions that given his size and appearance he can take care of himself with other dogs and people. I learned the hard way that that's not true at all. Our Hovis have no idea of their size and appearance and submit to the same dog hierarchy as a small dog. We still have to stand up for them and take care of them when meeting new individuals. Hovawart Wizards, like Bernard, try to provide real life information for Muggles - those not yet touched by the Hovawart's magic - to learn more about Hovawarts in the Hovawart School of Witchcraft & Wizardry. A place where Muggles can read how we play, what kind of training and activities we undertake. What makes Hovawarts special to us, and how they made us into Wizards. The role they came to play in our lives. And the hard times we shared. Helping Muggles to make the best choice possible if a Hovawart could be the Magical Creature for them, or at least what to expect. Do you have a Hovawart? Congratulations! Then you are officially a Hovawart Wizard too and you are invited to join the Hovawart School of Witchcraft & Wizardry. Read more on how to participate here. Meet more Hovawart Wizards here. More general information about the Hovawart breed is here. Amy from Go Pet Friendly, AJ from I Still Want More Puppies, Jodi from Kol’s Notes, Mel from No Dog About It, Julie from The Daily Dog Blog, Jennifer from My Brown Newfies, Kim from CindyLu’s Muse, Lauren from Life With Desmond, Leslie from Bringing Up Bella, Jodi from Heart Like A Dog, Kristine from Rescued Insanity, Peggy from Peggy’s Pet Place, and Dawn from NEPA Pets. I took this selfie of Kenzo and me, Leo, for the occasion. And yes, if you have been here before, someone is missing. It would have been Viva's 9th anniversary today, December 18, but she went far too young. But please don't be sad. 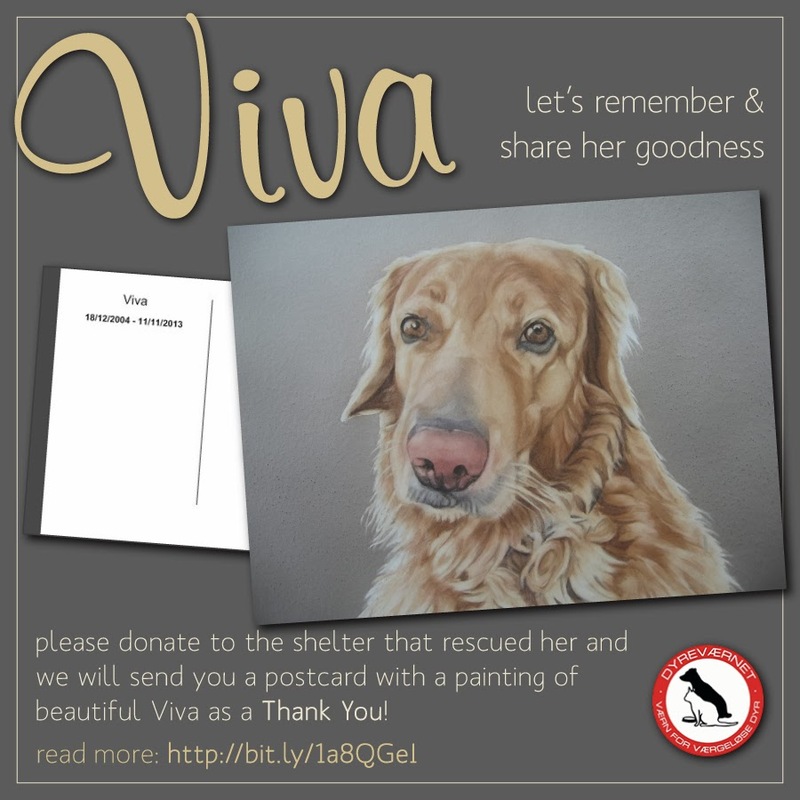 Give your pet a huge hug instead, and if you like, join this donation campaign in remembrance of Viva, for the good of dogs like her in Denmark, so they may find loving homes too. Of course for us it is all still very fresh, and the photo looks odd to me without Viva, so I also added this older photo, taken while the three of us were still together. Now, let's go to the questions! What’s your favorite non-animal related book? "Les Misérables", by Victor Hugo. I read it many times since high school, and first in the original French version, but I couldn't do that anymore today. I never kept my French up to date. What’s your favorite non-animal related movie? "The Intouchables", starring François Cluzet and Omar Sy. The trailer on Youtube is here. Great story of a remarkable friendship of opposites. What’s your favorite non-animal related food? By far, Indonesian food. It has so many flavors to discover. She forced me though, as she loves Kenzo, and thinks he is a 100% gorgeous. What’s one thing you have to do every day? Absolutely nothing. And that is more difficult than it sounds. If I don't, the next thing takes the next, and I end up thinking, where did the week/month/year go? What makes you feel fabulous? Being able to help somebody else makes me feel pretty good. And I love solving problems, any kind of problem will do, just not quizzes and puzzles, and repairs. What do you wish you were more skilled at? Communication: expressing myself, languages, people skills. It is the finest of arts, so much to learn still. Hiking in Norway with the dogs. We did it only once last year for a first time, and we are totally hooked. Being an expat, I could die for "stamppot" from home - this mashed substance is best described on the "Stuff Dutch People Like" blog - trust me, you are not missing out on anything. It will be hard to pick just a few. There are so many things I like to do, dogs, writing, museums, reading, history, traveling (with the dogs). My current vice is off-roading with the Landcruiser, very bad! And I really don't have a concept of free- and work time. I love my work. I love other things than work. I don't keep track of time I spend on either of them. What one word would people who know you use to describe you? 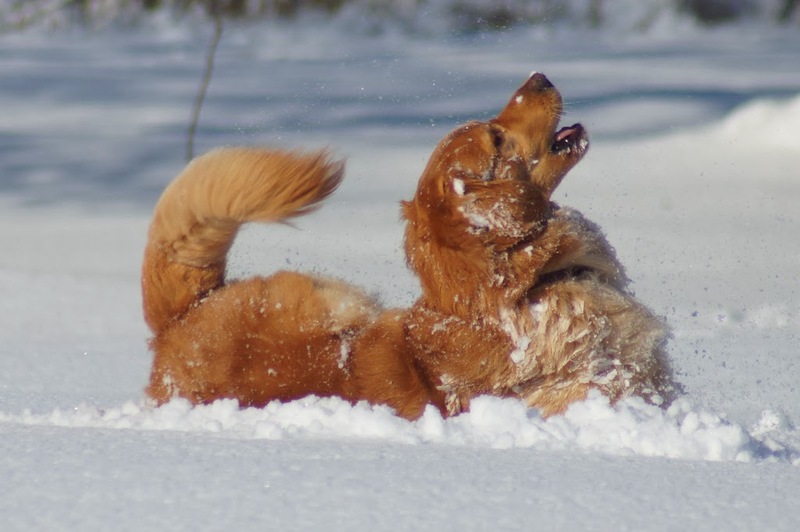 If your pets could talk, what one word would THEY use to describe you? What is one thing you’ve done that you’re most proud of? Being able to learn and change. How is your pet most like you? Kenzo and me share even-tempered personalities. But do us unjust, and we will roar. With Viva I share to trust others from the start, even though we sometimes get disappointed along the way. What can your body do for you that makes you most proud? Do we need to ask the body? Wouldn't it ask the brain anyway? At the moment, it is to change the life of the city for a more rural life. But that's the change ahead, to change continuously is important to me. And I wonder already, what will lay beyond that. Other than blogging, what are three things you do that bring you joy? Oh, how I miss chasing sunsets with Viva and not being able to feel her soft touch. It might be wrong timing for me, to answer this question. What’s one thing you could do to be more kind to yourself? I can do without The Guilt. It is such a useless emotion. Isn't that the same? You mentioned it in one question as well, did you. Ha! If you didn’t have your current pets, what pets would you choose to have? Any creature with gills, fur or feathers is welcome to be loved in our home. Aren't they all amazing. Three weeks of going in Viva's footsteps are coming to an end. We visited Denmark, Holland and Germany. I dread the upcoming return to daily life. In which I am sure to utterly fail, for a while to come. A good friend popped the question, which I knew had to come one day, "Why are you doing this to yourself?". She wondered why I prolonged my grief by three weeks. Why couldn't I let go. Wasn't it better to try to move forward? I didn't answer, although I thanked her silently for being worried about my mental state of health. And I couldn't answer because I wouldn't even know how to answer that question. I don't know what's best. I wouldn't recommend anything we did during Viva's passing to anybody, as grief is a personal process. I can only say I followed my heart, as that is where Viva is. And following it, is therefore the closest I can get to her. Grief follows no logic. My 5-year old "grand-daughter" - it would take too long to explain our exact relationship - seems to get that. When she visited us with her family on one of the days we were at the West-coast, she brought gifts for Kenzo and Viva, even though her family explained beforehand Viva was in heaven. Not that her family is religious, but how do you explain to a 5-year old, that one of the dogs she grew up with is no more. Heaven is handy, also for the not-religious. And while the family was busy shopping, I was anxious we couldn't make it to see the sunset. Something I always did with Viva on our trips. With only half-an-hour to go, I explained them I had to go now, to chase sunsets with Viva, and a little hand grabbed mine, saying she wanted to join. It didn't make sense to the family and I understand that. Yet, I also know it did make sense to me and a 5-year old. We watched a beautiful sunset, and silently missed Viva together. The little girl had an awesome day visiting a swimming hall, play-ground, got presents and candy. When her mother called at the end of the evening to ask how her day has been, she never mentioned any of that: "We are missing Viva. She is in heaven now you know." Grief has no age. Being spiritual or religious has never been me either. But I have to admit, the last three weeks have been a very spiritual voyage. It became a pilgrimage. Even though I didn't seek it. It just happened. Or? Another good friend, although "virtual" this time, told me how her dog let her know she was alright after she passed. That was a beautiful thought to me. But me not being spiritual or religious, would I even notice? Would I miss it, when Viva would try to tell me she was alright? A rainbow appeared out of nowhere, when we approached the very first beach of the trip. It sent chills down my spine, immediately followed by a warmth, I never felt before. "Hello Viva", I whispered, smiling. Maybe I was seeking it after all. Grief can adjust the image you have of yourself. At least, it was a wonderful feeling to see that rainbow, and I needed it to be Viva. Does The Netherlands Really Need a Third Hovawart Club? To my suprise, a third Hovawart club, "Hovawart Rasvereniging Nederland", was born in the Netherlands. The need for so many clubs in a country with so few Hovawart litters is difficult to see. And what are the other Dutch clubs - here and here - doing wrong, that can only be solved by erecting a new club?